So on with the Recommendation! Yes coraline is a movie that comes out sometime in January! This book is a very fast read! short! and fun! In Coraline’s new house she discovers a door in the attic that sometimes opens onto a brick wall, and sometimes doesn’t. Venturing through the doorway she discovers a world that mirrors her own, though the mirror is disturbingly distorted. There is more fun and better food there though, and her parents and neighbors are reflected there too, but with troubling differences. Returning to her own home she finds that her real parents are missing, only appearing in the hallway mirror. With the help of a cat that can talk in the mirror world, Coraline returns to rescue her parents, as well as the souls of other children that she finds imprisoned there, from the fiendish Other Mother. I dont think I have to say this because this is a site about a Vampire novel, but this is a horror (sort of) novel! Just letting you know! I think I’ll try Coraline…. Ohh and I agree with Tiffany C.! Jade Green was a very good book! Everyone should also read the Uglies series by Scott Westerfeld and Mary Higgins Clark Mysteries! you know what the series by Ellen Hopkins is really good. It include Impulse,Glass,Burned etc. I read all like 5 or 4 books in less than 1 week. 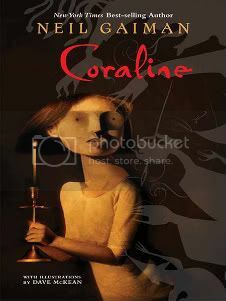 Yay i am reading Coraline too. i can’t wait to see the 3D version next month. You guyz have probably all heard of this book by now since it was recommended by Stephenie herself but The Hunger Games is a MUST READ!!!!!!!!!! I finished it in one day and it was AMAZING!!!!!!! After reading The Twilight Saga and The Host, I didn’t think it was possible for me to read other books that fast! I think that i’ll read that book and If you are looking for another vampire series I’d recomend the House of night series (marked,betrayed,chosen,untamed) there really good after i read Twilight, New Moon, And Eclipse and I was waiting for Breaking Dawn to come out I read these and I was hooked.. and I totally agree that The Hunger Games I an absolutley amazing book I finished it in one day It was amazing. another really good vampire series is the Blue Blood series by Melissa de la cruz . they were different then twilight but really good. another good series that i just finished was The Vampire Academy Series by Richelle Mead i finished all three books in three days they were really good. i agree that the house of night novels were good they were a easy read. Double Identity by Margaret Peterson Haddix or something is awesome. its pretty short and a little creepy but Haddix is a fantastical author. I too read The Hunger Games after Stephenie suggested it. It was amazing!!! I really hope Suzanne Collins writes a sequal! I did read just recently (can’t remember where), that Stephenie was working in a sequal to the Host called The Soul? Does anyone know anything about that?? I really hope it is true. Also I know of a lot of Twilight fans who haven’t read The Host, so if you are looking for another book and haven’t read that one I suggest it as a must read!!! Log in | 53 queries. 1.066 seconds.